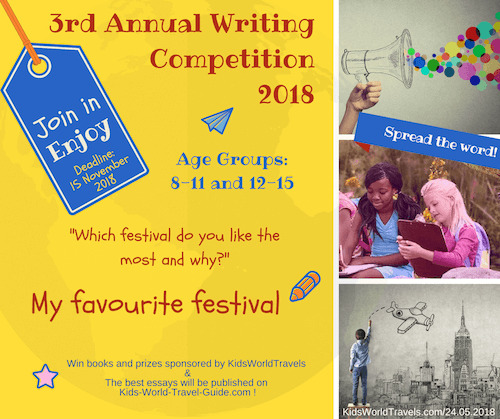 Here are some interesting facts about South Africa for kids which were chosen and researched by kids especially for kids. Capital city: Pretoria has 3 million inhabitants. Pretoria's nickname is "The Jacaranda City" due to the many jacaranda trees. In South Africa, the city is referred to as 'Tshwane' as the municipality changed its name in 2007. 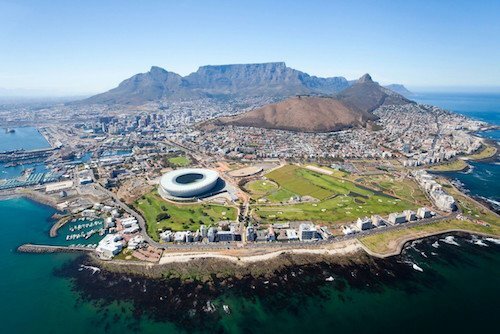 In fact, South Africa has three capital cities - read more below! Religion: mainly Christians and Muslims, but also Jews and other faiths. 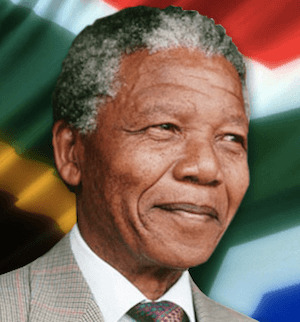 History: South Africa was led by Apartheid leaders until Nelson Mandela came free from prison and became the first democratically elected leader in South Africa in 1994. National Symbols: Protea (flower), Springbok (antelope) and others. Click here. Climate: Various climatic regions. Mostly mild to hot in summer, most of the days, cold nights, snowfall in winter. Read more. 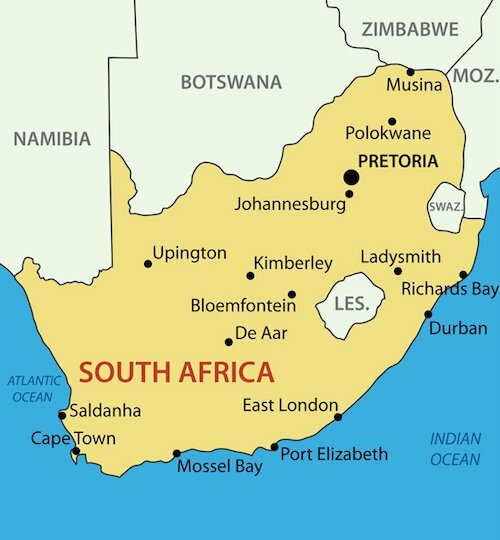 South Africa is the southernmost country on the African continent. South Africa encloses two landlocked African countries which are Swaziland and Lesotho. Both countries are ruled by kings and the people there are very poor. South Africa also shares borders with Namibia, Botswana and Zimbabwe in the North, and Mozambique in the East. It takes a 12-hour flight from London/England, 12-hour flight from Singapore and it takes more than 17 hours from New York/USA to get to South Africa. In South Africa, the Atlantic Ocean and the Indian Ocean meet off the Southern Cape coast. 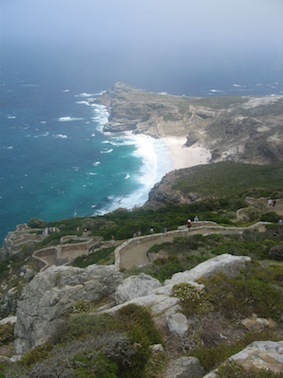 In the image to the right, you see Cape Point, the southernmost point of the Cape Peninsula. The southernmost point in South Africa is, however, Cape Agulhas which is roughly 120km (75miles) east of Cape Town. 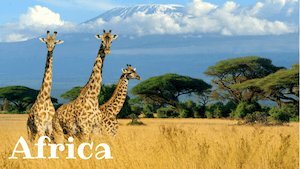 South Africa has various mountain ranges and the grasslands. In the interior of the country, you will find a high plateau. The Kalahari Desert in the north is part of the 'highveld', the highlands of the country. Johannesburg also lies on this plateau at 1,700m (5,577ft) above sea level, but most of the bigger cities such as Cape Town, Durban or Port Elizabeth, are located near the coast in low-lying areas. The longest river in South Africa is the Orange River which forms also part of the border between Namibia from South Africa. In the mountain ranges of the Drakensberg region, especially in the Lesotho mountains, there is snow in winter and you even could go skiing in South Africa. Tiffindell is the most popular winter resort town. Sometimes also the higher mountain tops in the Western Cape near Cape Town receive some snow in winter. Although the snow might be enough for a snowball fight, it certainly is not enough to go skiing. Did you know, that the Tugela Falls in South Africa are the second-highest waterfalls in the world? Cape Town: Table Mountain, V&A Waterfront, beaches. 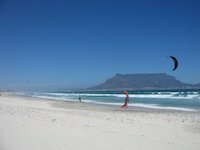 More about Cape Town attractions here. Wildlife in South Africa is abundant. 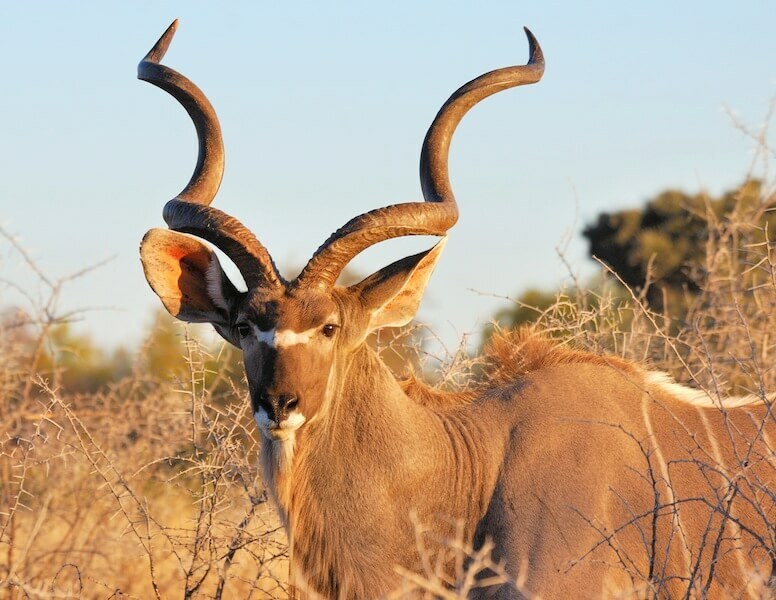 There are many species of antilope such as kudu, springbok, wildebeest, impala, oryx and gemsbok. 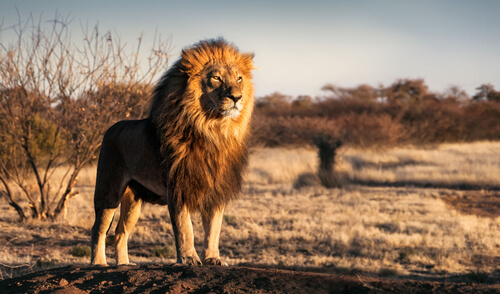 When you go on safari you can see many other South African animals like lions, elephants, giraffes and monkeys. 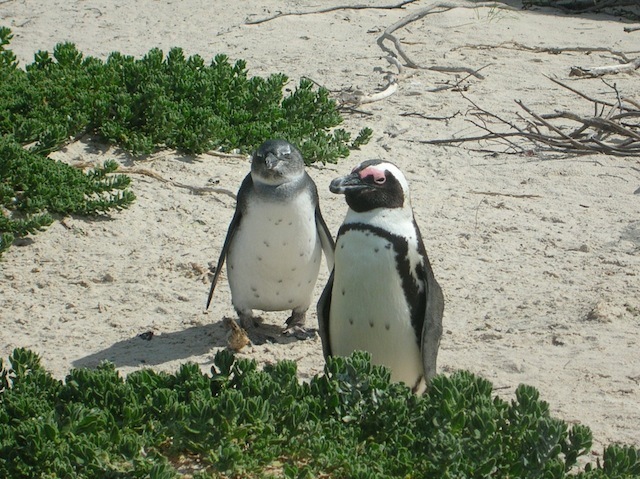 South Africa is home to the African Penguins and the Great White Sharks live in the ocean waters here too. Sometimes beaches are closed for bathing due to the sharks in the bays. Many beaches have shark nets. Remember to only swim in the sea where there are lifeguards on duty. Whale watching is very popular in South Africa too and you will encounter an enormous sea life in South Africa when you go on a boat trip. South Africa is often called the 'Rainbow Nation', because there are so many different languages are spoken and different cultural traditions are lived. Below you see people of the Ndebele tribe. 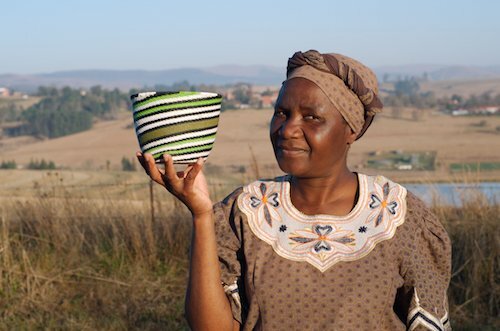 South Africa is often called 'The Cradle of Humankind', because archaeological artefacts, tools and human remains proof that people lived in the area more than 100,000 years ago. The ancient San and the Khoi were the early African civilizations settling the Cape. There are only few descendants of the local San people living in remote areas in the Karoo desert and near the Cape West Coast. 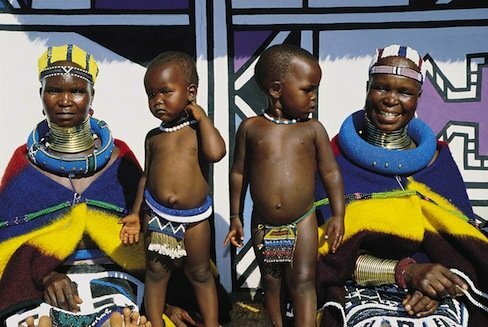 The biggest South African population group, the Zulu, mainly live in rural settlements in KwaZulu-Natal, they even have a king. The South African president, Jacob Zuma, actually belongs to the Zulu leaders. 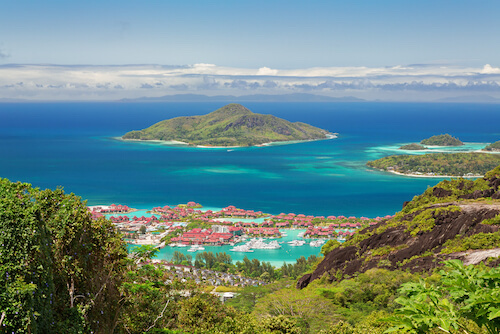 Portuguese, Dutch, British, French and German explorers have traveled and populated southern Africa in the 17th and 18th century and therefore you can find many European influences in South Africa too. 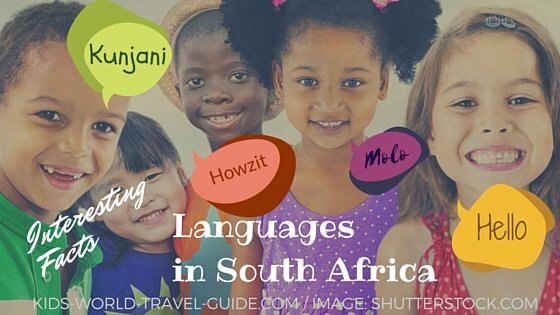 Read more about the 11 official languages in South Africa and learn some fun South African slang words here. Nowadays most of the people in South Africa live in or near the big cities: Johannesburg, Pretoria, Durban and Cape Town. 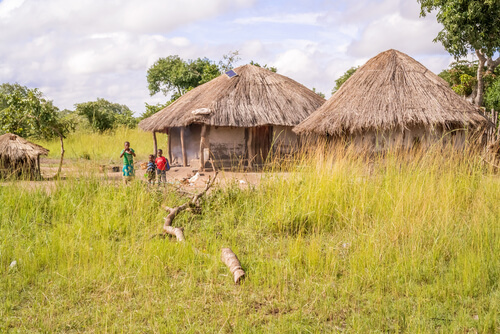 The rural areas are still very poor and also in the cities many people live in shantytowns or townships. Did you know that in South Africa, cars drive on the left side of the road as they do in the UK and Australia? However, all distance and speed signs are in metres and kilometres and km/hour and not as in England in yards and miles and miles/hour! The food the people eat in South Africa is very diverse. The South African staple food for the locals is 'mealies', which is corn, and seasonal vegetables, like potatoes, beans, carrots and peas. South Africans love their meat and game meat such as kudu and springbok are common. However, most people eat beef, chicken, lamb and ostrich with their meals. The people in South Africa love a BBQ (here called 'braai') and almost every house has got a fireplace which is called 'braai-place'. bobotie: typica Cape Malay food containing rice, lamb and fragrant spices. Click to find a tasty easy-to-do bootie recipe. koeksisters: taste like donuts soaked in sticky sweet sauce. Yummy! biltong: a cured and dried meat that is a typical South African snack and similar to beef jerky. Kids love to take this as snack to school. Read more about South African traditional food here. … South Africa has really three capital cities. The powers are distributed between Pretoria, Cape Town and Bloemfontein. The parliament meets for six months in Pretoria and the other half of the year in Cape Town. We hope you enjoyed our information on South Africa for Kids. Make sure you bookmark this page, as we will add more information for children on these pages. 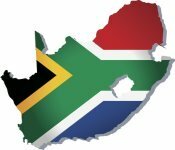 Read our top 15 South Africa facts even locals often do not know here. 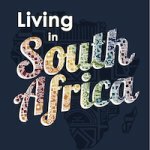 Do you need more info about South Africa or are you moving with kids to South Africa? Click on the book to go to our new website and view some sample pages.